No one rises so high as he who knows not whither he is going. Not only strike while the iron is hot, but make it hot by striking. Do not trust the cheering, for those persons would shout as much if you or I were going to be hanged. 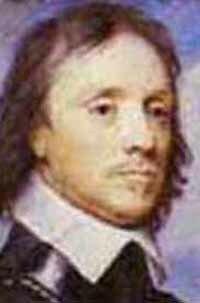 Oliver Cromwell was born on April 25, 1599, in Huntingdon, near Cambridge. His father Robert was the younger son of a knight, which in those days meant that he had very little property. 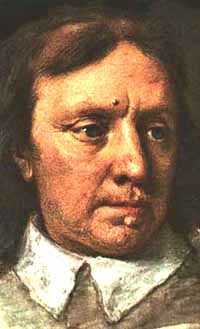 Cromwell grew up in genteel poverty; not quite a member of the nobility, yet not a commoner either. In 1620 he married Elizabeth Bourchier. For the early part of his adult life, Oliver scraped along, barely making ends meet on the scraps he had inherited from his father. Then in 1630 the failure of his business caused him to move to St. Ives and begin again as a yeoman farmer. However in 1637 he inherited a modest income and property when his mother's brother died without heirs. Despite Cromwell's impoverished circumstances, he had many opportunities to interact with powerful figures at court. His grandfather lived in state at his house outside Huntingdon, where he frequently entertained royalty and court officials. And through his wife's father, Sir James Bourchier, Cromwell was brought into contact with London merchants and leading Puritan figures. In 1630 Cromwell suffered what we would today term a mental breakdown. At the same time he underwent a powerful religious conversion to the Puritan cause. He afterwards said that he felt as though he was waiting for God to give him a mission. In the meantime Cromwell was elected as a member of Parliament for Huntingdon, a post he owed more to patronage and aristocratic connections than to any great merit. He attended the Parliament of 1628-9 (and was likely the poorest MP there). He seems to have been overawed by his elevated status, and hardly made any contribution to the Parliamentary sessions. 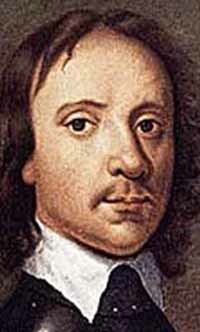 However, in 1640 Cromwell was back in Parliament, this time representing Cambridge. And this time he had quite a lot to say! He was one of the most outspoken critics of royal policies and of the established Anglican church. He also advocated increased Parliamentary powers, calling for annual sessions of Parliament, and for Parliament, not the king, to have the power to name army generals. When fighting finally broke out in 1642, Cromwell was named a captain of horse (a minor cavalry commander). But now his military leadership qualities came to the fore. Within a year he was Lieutenant General of Horse for the Army of the Eastern Association (essential equivalent to modern East Anglia). In 1645, the three largest Parliamentary armies were combined. Parliamentary leaders could not agree on who should lead the cavalry of the new army, so they appointed Cromwell as temporary commander for 40 days. The temporary appointment was renewed many times over until finally becoming permanent in 1647. In the meantime Cromwell led his cavalry in some of the most vital battles of the Civil War. His horsemen were responsible for major contributions to the victories at Marston Moor (1644) and Naseby (1645). It is easy to regard Cromwell as a fire-breathing radical, but that assessment is not a fair one. To be sure, he roundly castigated Parliamentary leaders who advocated a negotiated settlement with the king. Cromwell wanted to settle for nothing less than total victory over the Cavaliers. 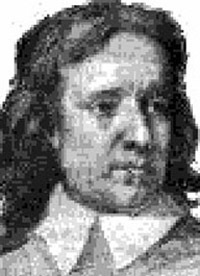 On the other hand, Cromwell rigorously opposed the religious intolerance of the Presbyterians, and the political intolerance of the Levelers. He seems to have made a genuine effort to work within the existing forms of government and negotiate in good faith with King Charles for governmental and religious reforms. Cromwell's resolve towards tolerance was tested in 1647 when Charles prompted a Scottish rising. He put down the royal allies at Preston, and Yorkshire. Though he felt betrayed by Charles, Cromwell held out against a trial, and when he agreed it was with the idea that Charles would abdicate in favour of one of his sons. But Charles was obstinate to the last, and refused to step aside. Once it became clear that the king would not be swayed, Cromwell became one of the most vocal supporters of regicide. After the death of Charles, further rebellions in favour of the future Charles II arose in Ireland and Scotland. Cromwell dealt with Ireland first, and his ferocious retribution for Irish actions earned him a reputation for cruelty. Scotland was next, and finally Cromwell defeated the younger Charles at the Battle of Worcester in 1651. Cromwell then participated in the debates of the "Rump Parliament", which sat until 1653. Finally, tired of the continuous bickering and lack of real desire for reform, he dissolved the Rump by the crude expediency of armed force. He tried to work with religious leaders to " to design a blueprint for a godly commonwealth", but once again his efforts were done in by the inability of the various parties to work together. Finally, and probably with a sense of exasperation, Cromwell himself took up the reigns as Lord Protector, head of an executive council. Several efforts were made to have him named king, but this Cromwell resisted firmly. His rule was a time of rigid social and religious laws on radical Protestant lines. 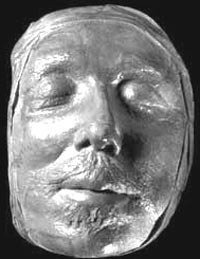 On September 3, 1658, Oliver Cromwell died and was buried at Westminster Abbey. After abortive attempts by his son, Richard Cromwell, to govern as Lord Protector, Charles II was called back from exile to resume the monarchy. In 1661 Oliver Cromwell's body was exhumed from its grave and hung at Tyburn. Then his head was cut off and put on public display for nearly 20 years outside Westminster Hall. Oliver was born in Huntingdon, in the county of Huntingdonshire in East Anglia. He was a gentleman farmer. He was also a devout Puritan. He became the Member of Parliament (MP) for Huntingdon in the Parliament of 1628 - 1629. He began his political career by defending the people of The Fens from wealthy landowners who wanted to drive them off their land. 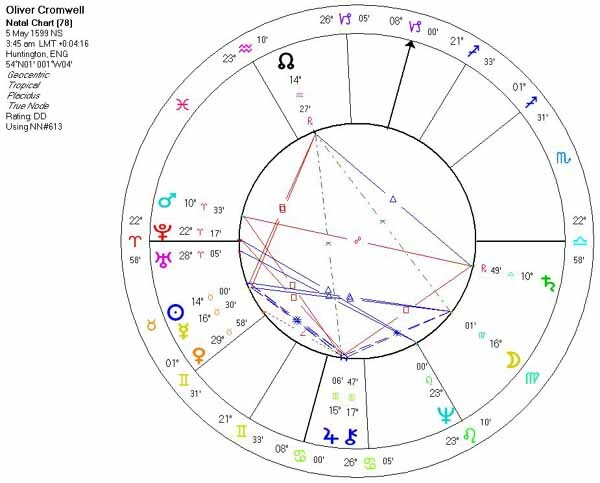 Cromwell's influence as a military commander and politician during the English Civil War dramatically altered the military and the political landscape of the British Isles. The so-called "second civil war", which broke out in 1648 after Charles I's escape from prison, suggested to Cromwell that no compromise was possible, and he was mainly responsible for pushing through the king's trial and execution. In the peace following the civil wars, he ruled for several years as Lord Protector of the republican Commonwealth of England but declined the kingship when Parliament offered it to him in 1657. Many of his actions during this period appear unwise or hypocritical. He was savage in putting down the mutinies which occurred within his own army towards the end of the war (prompted by failure to pay the troops) and showed little sympathy for the Levellers, an egalitarian movement which had contributed greatly to Parliament's cause. 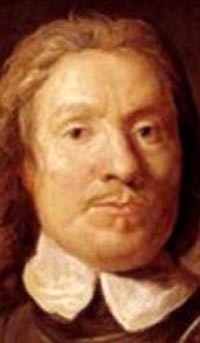 In 1653, he dismissed the Rump Parliament, and his foreign policy led him into the First Anglo-Dutch War (1652 - 1654) against the Netherlands. His rule gradually assumed the guise of a military dictatorship. 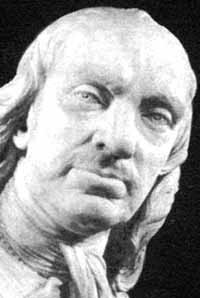 In 1661 Oliver Cromwell's body was exhumed from Westminster Abbey and was subjected to the ritual of a posthumous execution. He would be interred at Tyburn; his head was buried in the grounds of Sidney Sussex College, Cambridge. Cromwell came 10th in a popular BBC poll of "Great Britons". 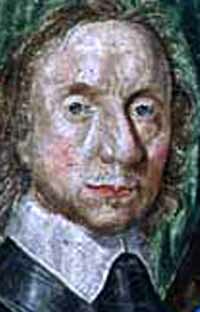 Cromwell was born into a family which was one of the wealthiest and most influential in the area. Educated at grammar school, and at Cambridge University, he became a minor East Anglian landowner. From the outbreak of war in summer 1642, Cromwell was an officer in the parliamentary army. He was successful and rapidly promoted, playing a major part in parliament’s victory. By 1648 he commanded a large part of the New Model Army which crushed rebellions. In June, 1647 Cromwell tried to reconcile the king, Charles I, Parliament and the army, but when this failed Cromwell put his full support behind the army. By the late 1640s he was one of the power-brokers in parliament and he played a decisive role in the winter of 1648-9 which saw the trial and execution of the King and the abolition of monarchy and the House of Lords. Cromwell’s signature was third on the king’s death warrant. 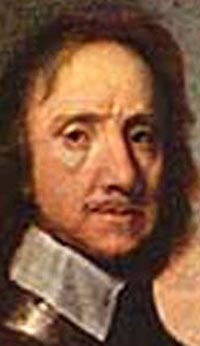 In December 1653, he became head of state as Lord Protector, though shared political power with parliaments and a council. He headed a tolerant, inclusive and largely civilian regime, which sought to restore order and stability. He refused the English crown when offered it in 1657. 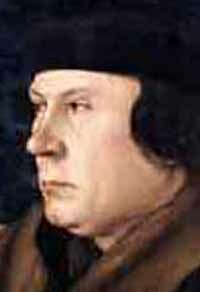 Cromwell life and actions had a radical edge springing from his strong religious faith. He sought to reform the most inhumane elements of the legal, judicial and social systems and clamped down on drunkenness, immorality and other sinful activities. He also believed in freedom for faiths to practise their beliefs undisturbed. On the 3rd September 1658, Cromwell died. A state funeral was held in November. 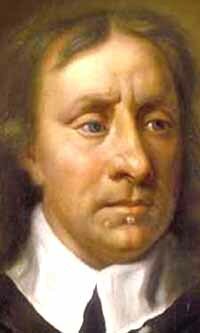 Horrifically, On 30th January 1661, Cromwell’s body was dug up by the new monarchist regime, symbolically executed and then buried at Tyburn.